Looking for some cheap or free date ideas for you and your significant other to share a little fun and romance while doing some prepping as well? 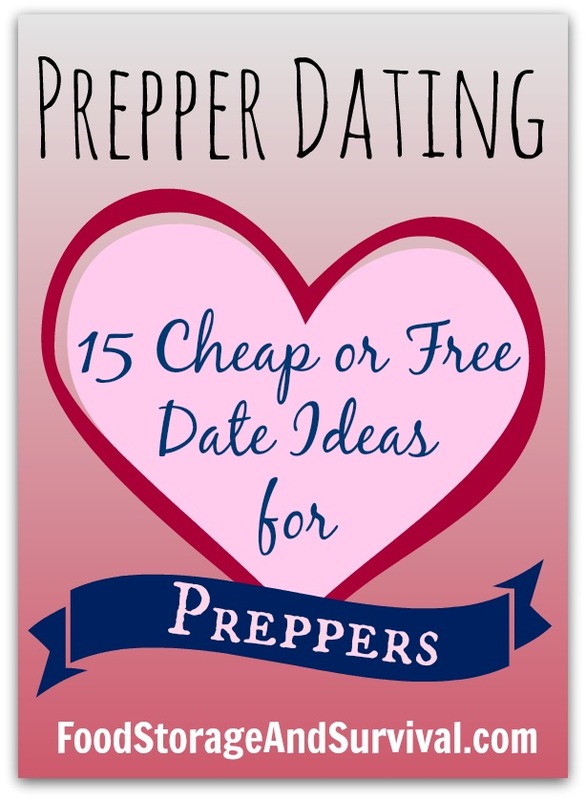 Because I know as a prepper, being frugal is high on your list of importance, I made sure to keep the prepper dating ideas here low cost or free! Valentine’s Day is just around the corner, but you can use these any day of the year! Don’t have a significant other? Check out Jamie’s suggestions on how to find prepper love, or Creek Stewart’s Survival Pick Up Lines and you’ll be ready for the dating scene in no time! Ready for a fun date? Let’s get going! 1. 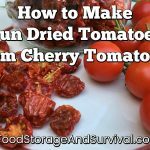 Cook a meal from food storage. You don’t need to go to some fancy restaurant to enjoy a meal together, just see what you can make from the food you have stored! Bonus points if you can cook it using a powerless cooking method. Then turn off the lights like the power is out and eat by candle light! 2. Go camping. If it’s too cold, just set up the tent in your living room and pretend you’re outside. Test out your flashlights, sleeping bags, and air mattresses. If you’re camping inside, go ahead and turn the heat down so you have more of an excuse to snuggle! 4. Forage for wild edibles. ONLY pick and eat the ones you are 100% sure you have positively identified. You could make a salad to go with that food storage meal you cooked! 5. Take a drive in the country (or take a walk through your neighborhood). Your purpose is to enjoy each others’ company AND scout evacuation routes. Find the best ways to get from point A to point B. Figure out a meeting place. And enjoy the scenery along the way. 6. Build a fire outside. Bonus points if you can get it started without matches, and double bonus points if you cook over it! Tell campfire stories and roast some marshmallows. You could even double this activity up with the camping date for twice as much fun! 7. Play a game of Conflicted. Or make up your own survival questions to ask each other. 8. Grab your emergency kit and evacuate to a park. Give yourselves a time limit to get out of the house. Have a picnic with your emergency kit food (it’s probably about time to rotate it out anyway, right?). If you forget to grab a blanket to sit on, just use the Mylar blanket from your kit! Because nothing says romance like Mylar. 9. Watch a survival movie. You could go for a classic survival movie like Cast Away or World War Z, or try one of these survival themed movies with a romantic twist! 10. Get physical. Head to the racquetball court or do some roller blading or shoot some hoops. Taking care of your body is one of the most important preparations you can make. Do remember to let the lady know what your plans are so she knows not to wear a dress! 11. Shoot something. 100 shotgun shells and a box of clays will run you around $40. OR head to a local range–some have guns you can rent if you don’t have your own. OR bust out the archery equipment and set up a course of your own. You could even go shooting with BB guns or slingshots. You get the idea. 12. Go to a thrift store. Set a budget of $5 or $10 each and see what great preparedness gear you can find! 13. Take on a preparedness project. Here are 25 fantastic weekend preparedness projects, most of which would make a great “work together” date! Maybe not the composting toilet one–it would take a special girl to call building one of those a date. 14. Visit a farmer’s market. Learn what grows well in your area. Buy something you’ve never eaten and cook it up together. 15. Make freezer jam. Get the fruit from your own garden, the farmer’s market, or check out PickYourOwn.org to find a u-pick farm near you! What about you? What kind of prepper date would you enjoy? Let me know in the comments below! Go to a thrift store. But, one not on your list would be canning up dried beans with the food saver attachment.